The embroidery is done on the Scarlet Letter project! 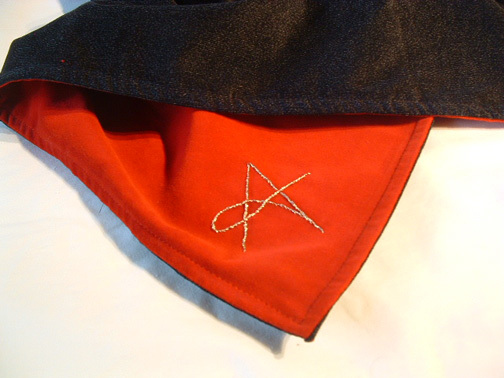 I embroidered krienik gold braid on the red velvet using stem stitch to outline and define the letter “A”. The complete “A” here, in contrast, to the black side of the mat. 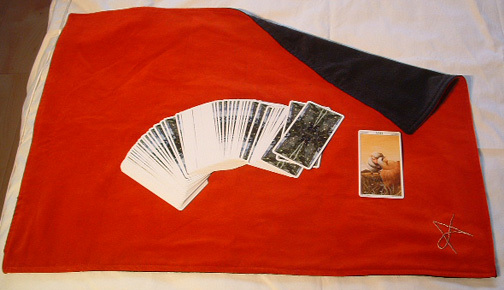 The red side of the mat is red velvet, the reverse is a black velvet-type fabric. 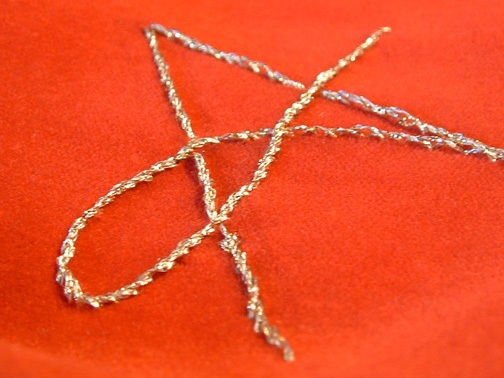 The pieces are sewn together, then turned. 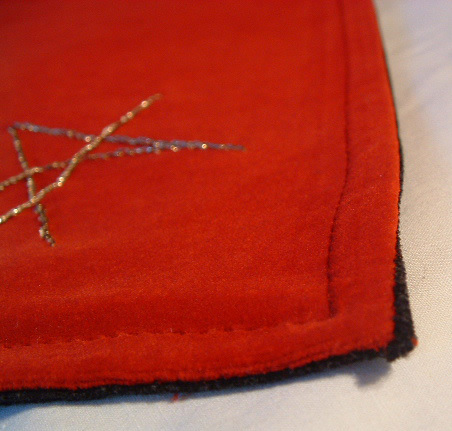 I hand closed the last seam and topstitched the edges. I think it’s wonderful to take a hateful sign and use it in a fresh way. It takes away all its power. Very pretty material and embroidery floss. Thanks for sharing. It takes away all its power. Very pretty material and embroidery floss.